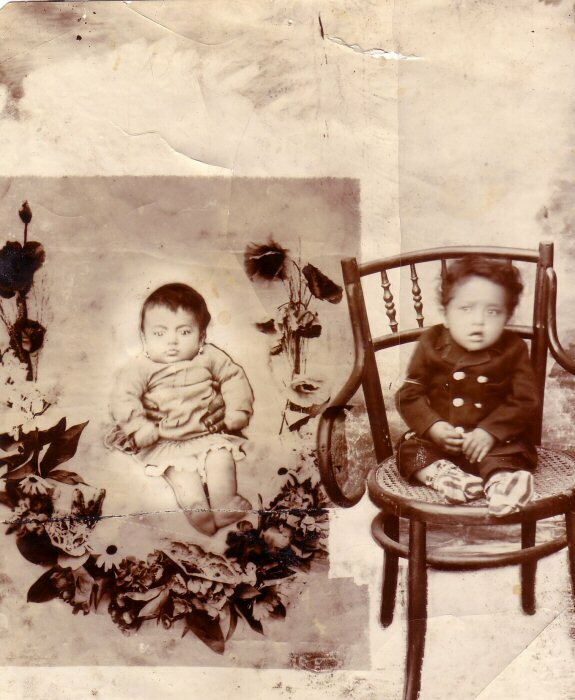 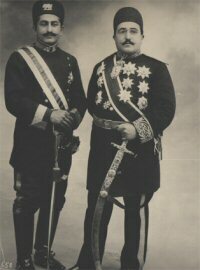 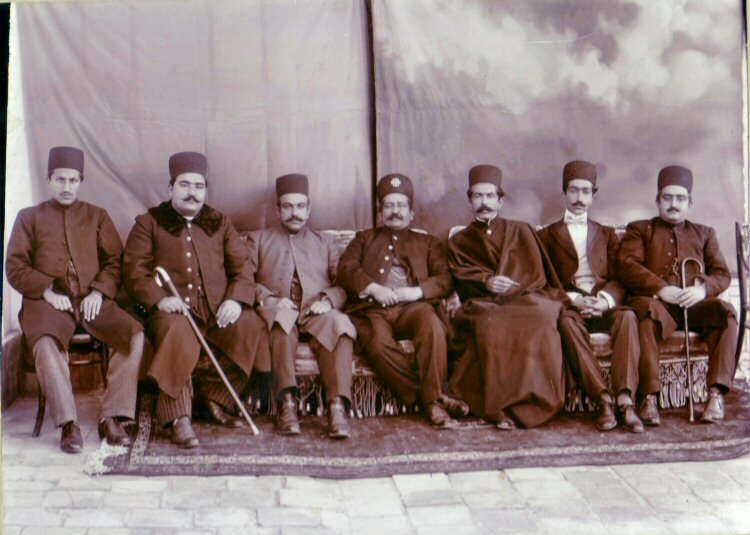 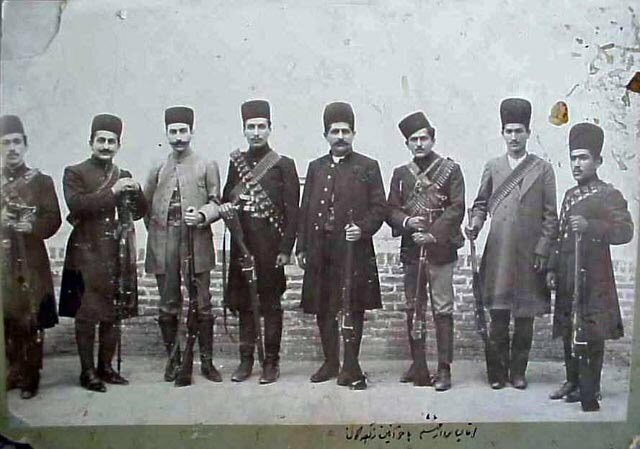 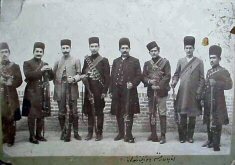 The Ghajar Princes, sons of Prince Massoud Mirza (Zelle -Soltan). 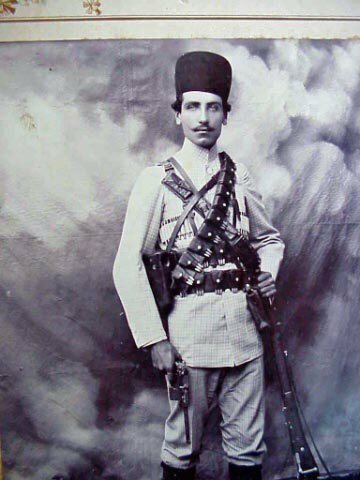 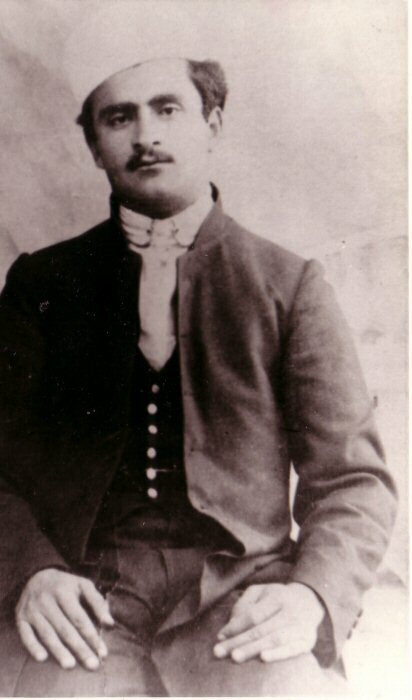 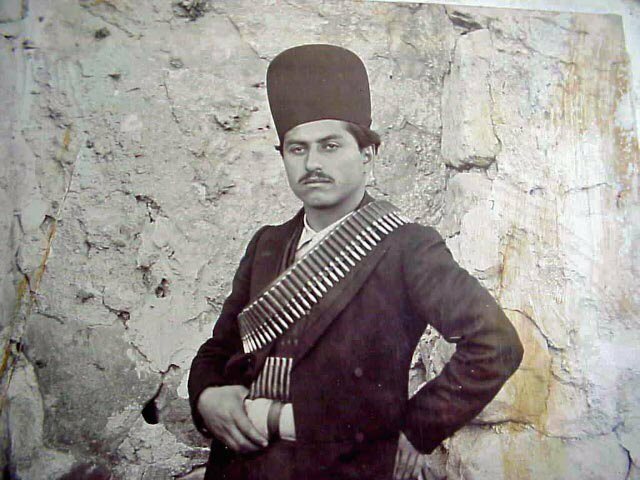 Son of Nasser Edinshah.  Esmail Mirza (Ghajar). 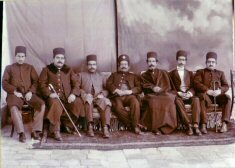 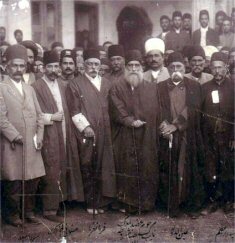 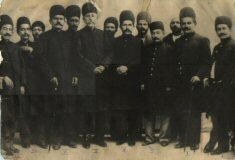 Mo'jamed Dowleh (Ghajar),  Homayoun Mirza Amir Arfa (Ghajar). BOTTOM ROW (right to left): 1- HOJABR. 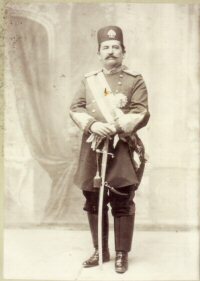 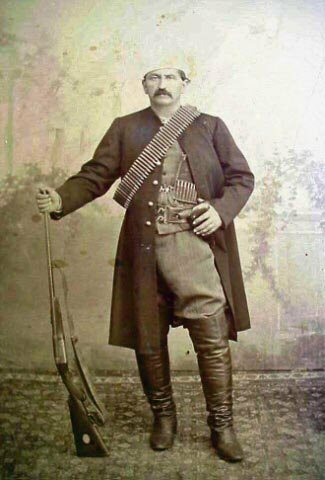 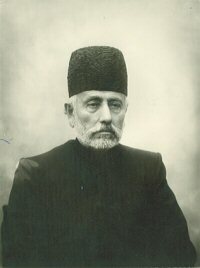 2- SARDAR BAHADOR. 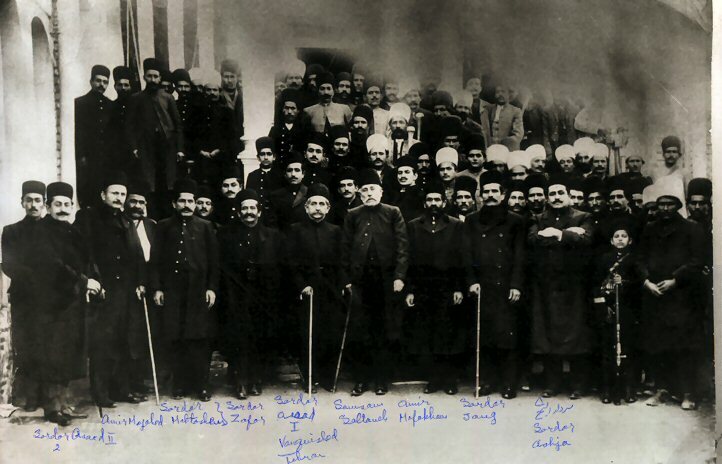 3- SARDAR ASHJAE. 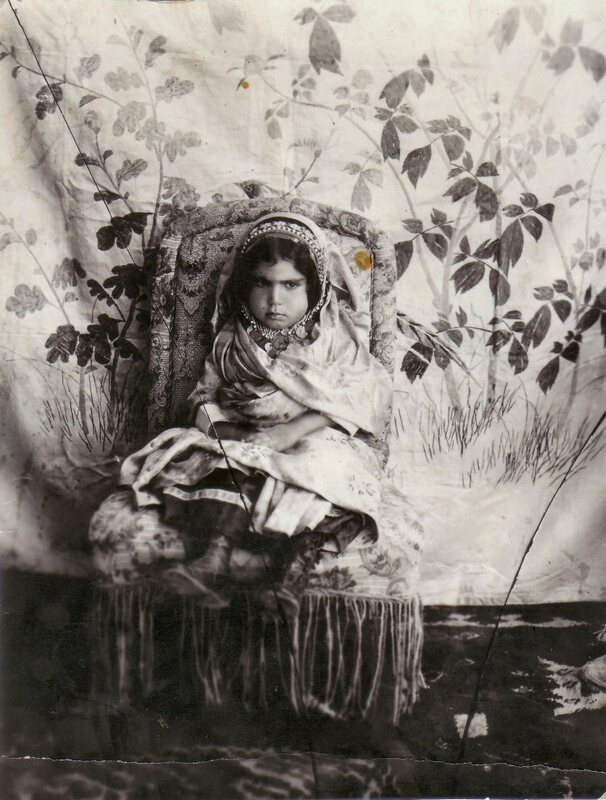 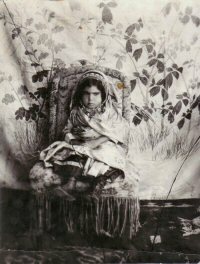 4- TEYMOUR BAKHTIAR (THE CHILD WITH BLACK HAT). 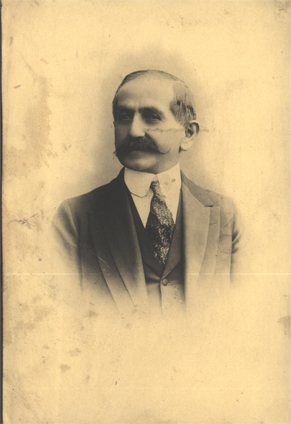 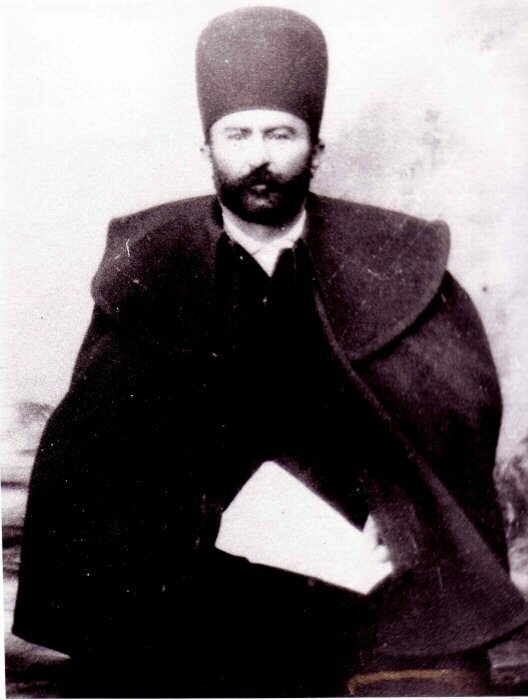 5- SARDAR MOAZAM (TEYMOUR BAKHTIAR FATHER). 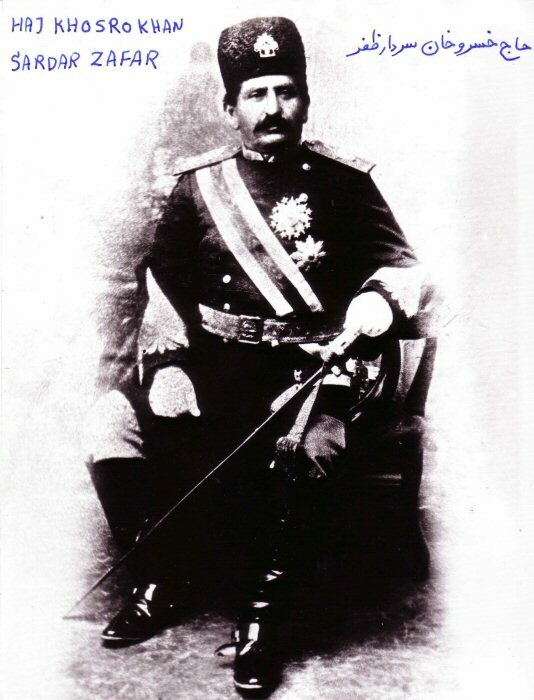 6- SARDAR MOHTASHAM. 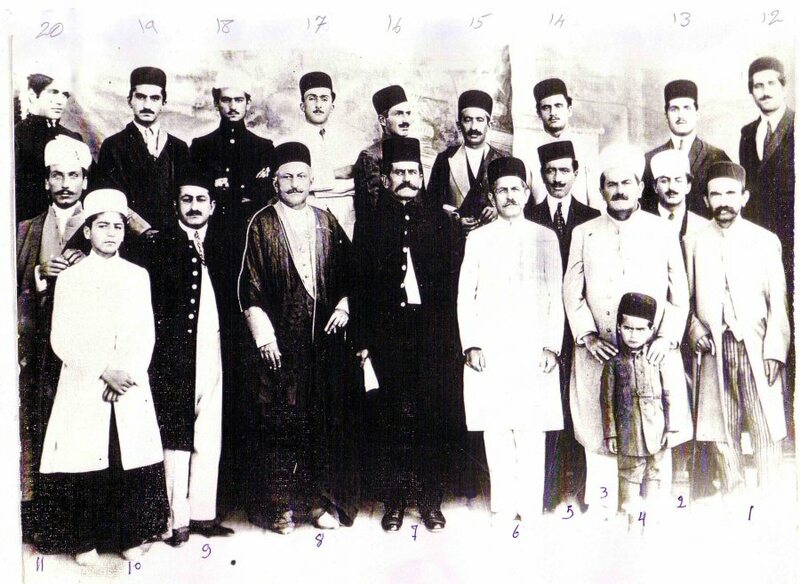 7- SARDAR JANG (TEYMOUR BAKHTIAR GRAND FATHER FROM MOTHER'S SIDE) 8- AMIR MOJAHED. 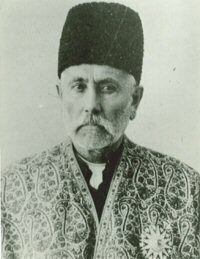 9- JAFAR GHOLI KHAN (SARDAR ASAAD THE SECOND). 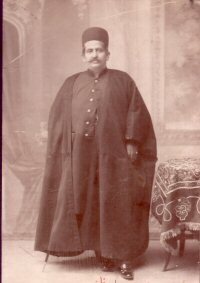 10- JAHANGIR KHAN (SARDAR EGHBAL'S SON) 11- SARDAR EGHBAL. 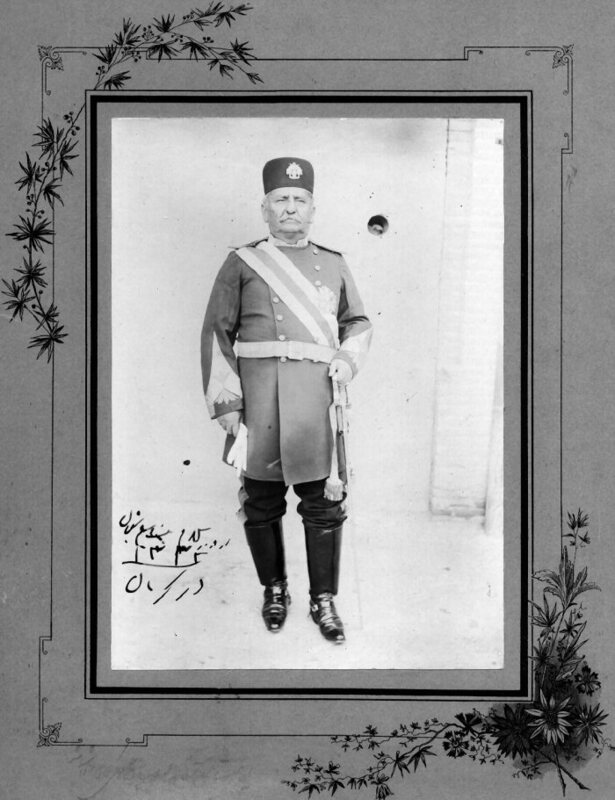 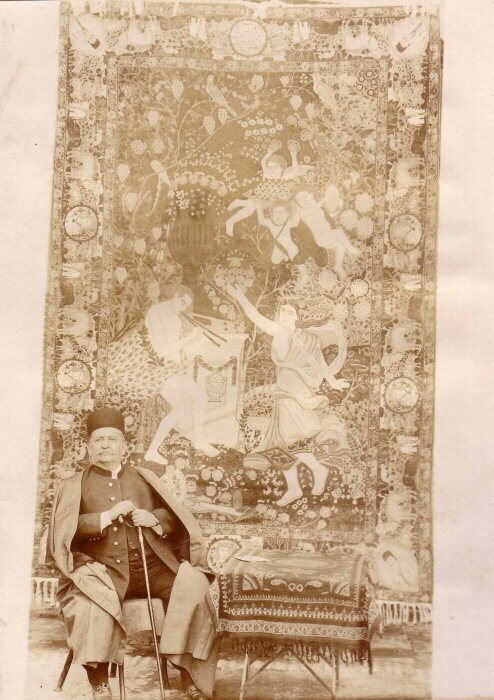 Sardar Zafar Governor of Kerman. 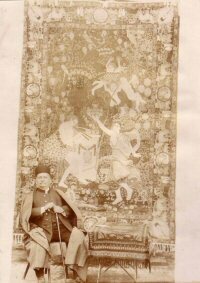 The two daughters of Sardar Zafar.